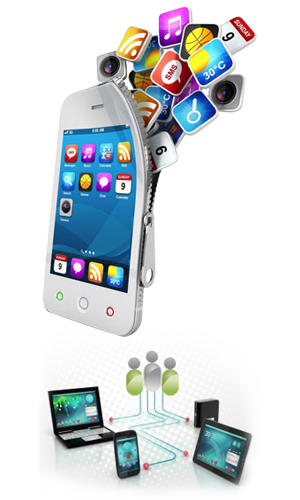 Smart phones have given birth to mobile phone application development. With the access to mobile application, people can get the information instantaneously and are increasing relying on to their smart phones for all the information they need on-the go. One can access the internet, find a route to a destination using the GPS, communicate, click pictures, record videos, create documents, send emails and even share his files on social media sites. All these features have made the usability of a PC or a laptop much less. Windows Mobile OS provides the most familiar interface for smart phone users, and that is one reason why it is one of the most favored. Therefore, MS Mobile office suite allows a seamless shift from the laptop to the smart phone. One just needs to download the appropriate mobile application. India’s population is majorly comprised of young people. And with the rapid pace of mobile technology, it is not a shocking sight to see young people in rural areas hooked on to their android devices. One can find endless selection of applications and chose the ones that pertain to their liking and interests. Mobile phone applications are used everyday for advancement in personal and professional lives of people. Needless to say, the communication to your targeted audience can be done through many channels in this era of digital age. At SEOpride, our staff is highly capable of developing a creative and a prolific mobile phone application that can provide a chance for robust growth to your business.